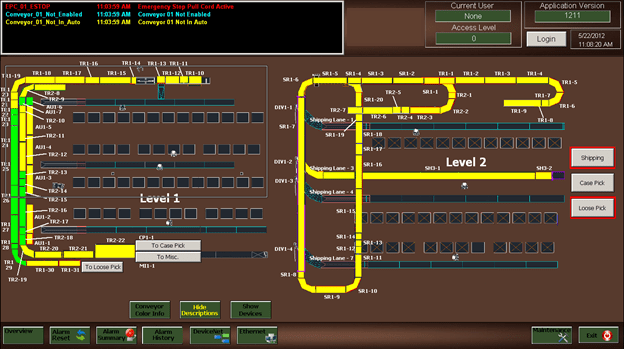 Over 20 years of experience programming HMI’s. Develop small, medium or large Wonderware InTouch applications. Application types include stand alone applications, master/slave type applications, applications for thin client setup, Archestra applications. Industries include food and beverage, consumer products and shipping. 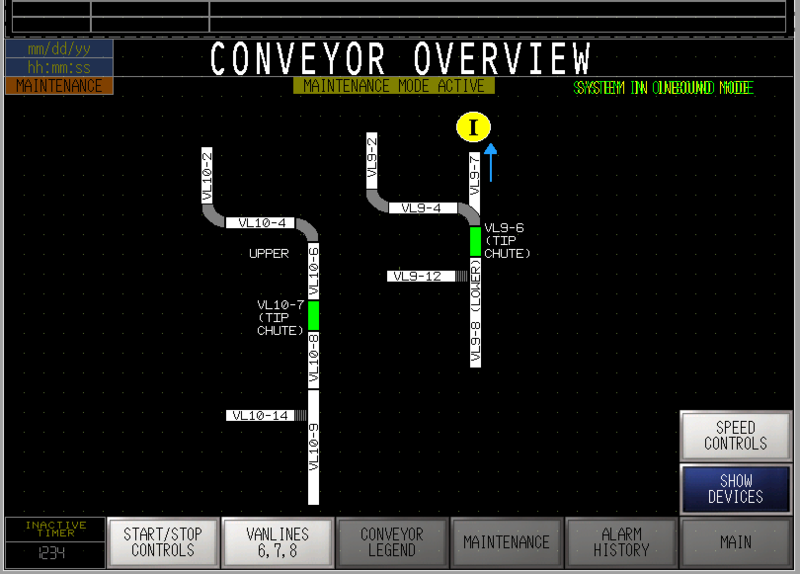 VFD overview screen for large packaging company. Archestra application. 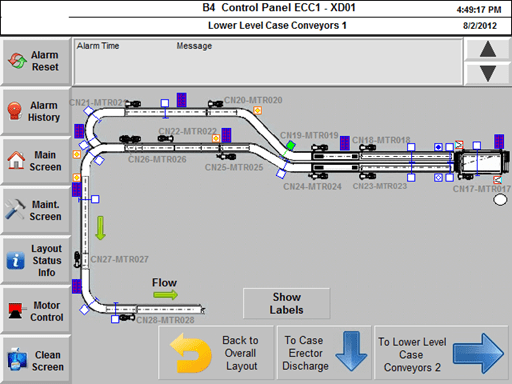 System overview screen for a consumer products company. Develop small to medium and large FactoryTalk View applications for various Rockwell HMI platforms and architectures including RSView ME (Panelviews) and RSView SE (stand alone and network distributed with thin clients). Develop applications on other HMI platforms including GPProEX and C-More HMI’s. 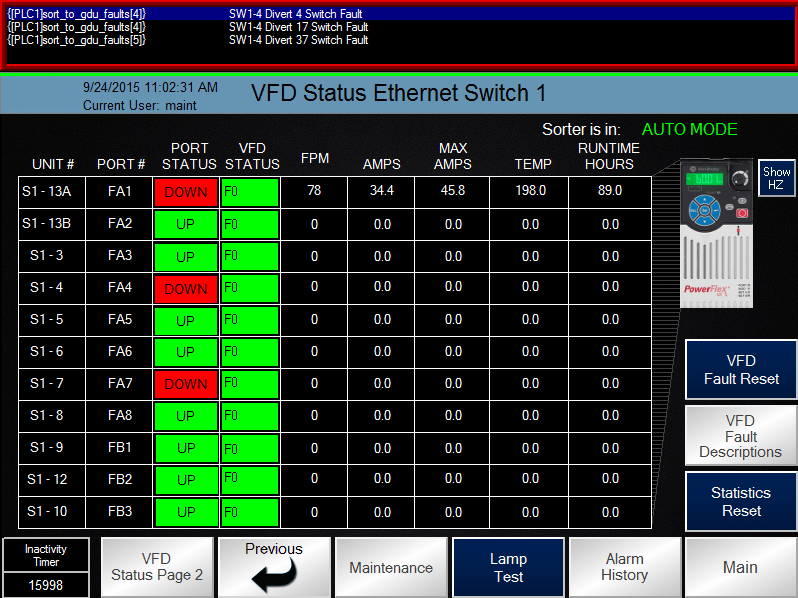 Develop low cost HMI’s on Velocio HMI’s. See http://velocio.net for more information. Convert old out of date applications to new platforms, for example GPProEX to Panelview, RSView32 stand alone to RSView SE Network Distributed HMI’s. Industries include food and beverage, medical, shipping and automotive. 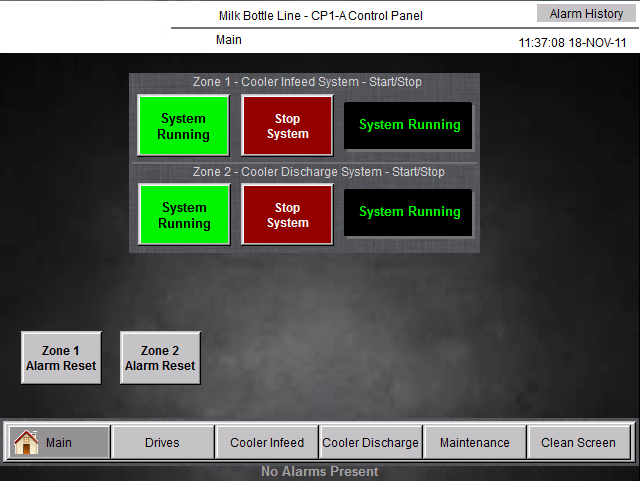 Panelview Plus overview screen for food and beverage company. VFD detail screen for packaging company. GPProEX Overview screen for large packaging company.